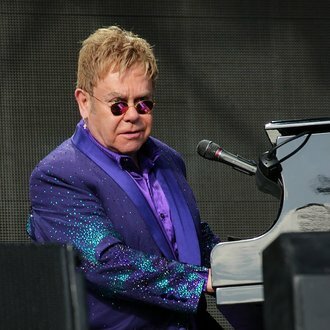 Apple Music Festival kicks off tomorrow (18/9) with Elton John performing the first of 10 gigs in 10 days at The Roundhouse. The legendary songwriter and piano player, who is also doing a UK tour which you can get tickets to, is not the only big name to be making an appearance in relatively intimate surrounds (the roundhouse holds 1,700 people and most of these artists could fill Hyde Park). Britney Spears is going to be playing her first UK gig in five years in the venue. Fans will be eager to hear songs from her new album Glory alongside her timeless pop hits. It's a very cool way to make a comeback rather than slamming on 4 dates at the 02 which she'd sell out. The 1975, who impressed at The Mercury Prize on Thursday (15/9) will be a fun one to watch. Matt Healey, who claimed he would have spent all his winnings on drugs in an interview with NME that evening, will be his usual extroverted self. At the awards he left the stage to climb on to a a table of VIPs where they were dining watching the band and grabbed their wine before downing it all. He's the most rock n roll frontman in pop, it's nice to see someone that isn't pretending to not enjoy themselves on stage and the band are unmissable on this form. Alicia Keys, who just played the Champions league final and released a new album, which she told me in an interview with The Line Of Best Fit is all about New York: "The album is very much about New York," she tells me. "It’s about how it has made me who I am, how it’s made me see the world, made me the woman I am, the artists I am, and made me sonically who I am." It's also an album she believes wholeheartedly in and is likely to make her performance all the more riveting. "Oh my god this album is so crazy. I love it so much! It's definitely the best body of music I've ever done," she said.in the Roundhouse is a tantalising proposition, especially since she has no other UK tour dates announced. As with the iTunes Festival, tickets to the Apple Music Festival are free. However, you have to "win" tickets by entering through Apple Music on the Apple Music app. You will need to be signed up to Apple Music to do it (See what they're doing there? -Watch out Spotify!). You can also apply through ticketing app Dice. Go to the and select the act you want to win tickets for. This will ask for your mobile number to text you a link to the relevant page of the Dice app, or prompt you to download it. Kendrick Lamar presented Snoop Dogg with the I am Hip Hop gong at the BET Hip Hop Awards on Saturday (17.09.16). Coolio has been arrested over possession of a loaded, stolen gun at Los Angeles International Airport. Sam Bailey wants to do a "big band" duets album. Sister Sledge are set to perform for Pope Francis. Billie Joe Armstrong thought his life was completely normal during the height of his drug problems. Coldplay are releasing a special Surround Sound version of their album 'A Head Full of Dreams'. David Bowie gave his seal of approval for the 'Lazarus Cast Album' to be made before he died. Fifth Harmony singer Camila Cabello has penned a passionate essay about what it was like for her family to immigrate to the U.S.